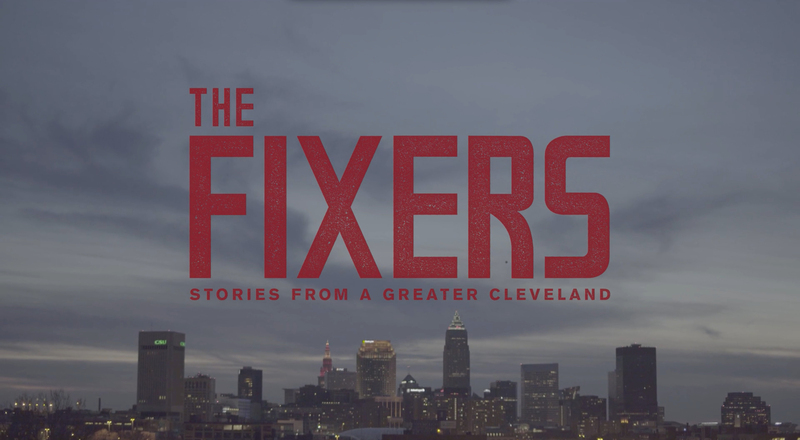 Kate Sopko’s series of short films collectively known as The Fixers isn’t exactly about fixing Cleveland, which might be impossible, though her narratives do show people hard at work repairing neighborhoods, hammering at closed minds. But “Fixers” in this usage are really guides to complex social or political situations—insiders who know shortcuts and can give journalists a fast ride straight to the heart of an important story. Fixers generally play their roles in foreign countries when journalists or decision makers come into a situation they can’t fully understand. Sopko’s fixers are a few concerned citizens, activists on the ground here who are currently attempting to deal with aspects of social and economic damage inflicted by decades of political mismanagement, industrial collapse, and critical population loss. Neighborhood by neighborhood, the broken city needs to be not so much repaired as reinvented, especially along the ruined avenues of the east side, headed east and south from what used to be downtown. Downtown Cleveland itself, where (fittingly or otherwise) the stage is currently being set for the Republican National Convention, has been starved of vital energy for many decades. A beating heart for a different time, the “sixth city” urban center (people still call it sixth, but in truth Cleveland ranks 45th now, with a population of 389,000), the roaring twenties-era transportation hub and home-base for dozens of industrial and financial firms, can seem more like a sports arena hub these days, with less fervid entertainments spread around among overpriced parking lots. But that’s just the first half mile east of the town’s “crooked river”. The rest of the place, a matter of some 80 square miles, is less “fun” maybe, but also a lot more interesting despite its troubles. It’s certainly where the real stories of human strength can be found, the ones about challenge, survival, and growth. Sopko, who partnered with SPACES and Artmatters on The Fixers, and who meets operating costs through the free micro-philanthropy site Hatchfund, (where artists can post projects for funding and connect with potential audiences and supporters) says she wants to use her eight short interview/documentary films to begin a public dialogue. She believes this moment in the city’s history offers a rare opportunity for Clevelanders to establish a conversation with the rest of the country as the RNC attracts nation-wide news coverage, and as elected officials gather here who need to understand more about rustbelt cities. In a town that has lost well over half its population in the last half-century, communities within Cleveland’s boundaries begin to feel a little like a small country following a ruinous war, full of ravaged towns and troubled people. Leaving the RNC delegates aside, it’s probably true that most Clevelanders don’t really know each other all that well. East side and west side (for example) have different politics, racial and ethnic mixes, social histories — even different weather patterns, and widely varying sorts of damage and shortage. 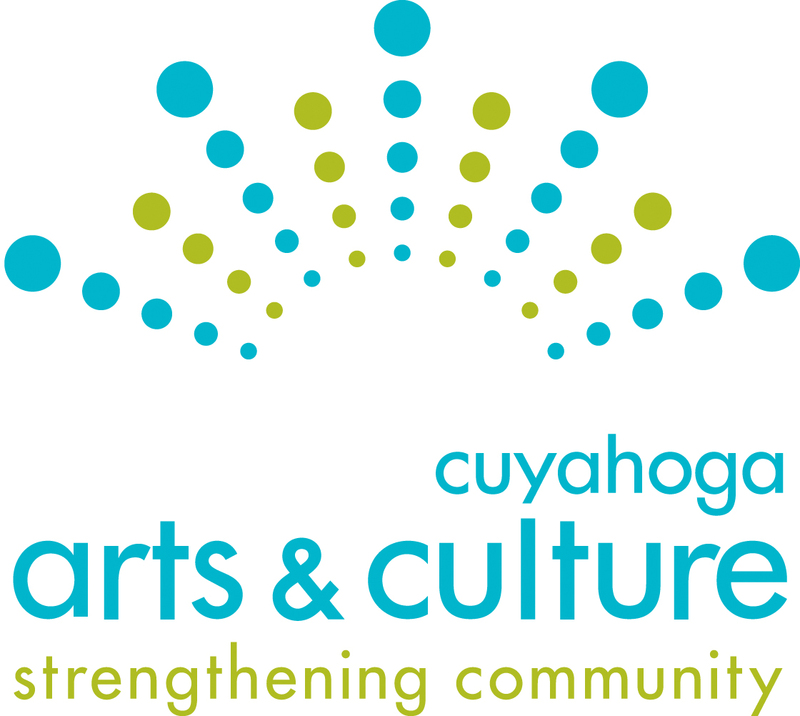 Sopko uses the documentary medium to ask Clevelanders what they want to tell the world about themselves, what they need and what they know how to give, and listens to their answers. The films convey some sense of what it’s like to depend on buses to get to work, an hour and a half away on the other side of town, or to attend or teach in struggling urban schools. They visit the neighborhoods that subsist miles away from the nearest full-service grocery stores, where it can be terrifying to walk around the block, where, it may be, somebody you know was killed in crossfire. And they show the courage and creativity of a few remarkable people. Vel Scott, for example, is a chef and urban farmer in her seventies now, whose “Purple Oasis Vegetable Garden” near East 108th and Stokes Boulevard grows a range of produce, an example of how anyone with a plot of land can take charge of their diet and their health. Scott, who welcomes children from area schools to come and help out, at one time owned a nightclub with her late husband called “Vel’s on the Circle.” She sometimes teaches cooking classes at another oasis-like spot, CornUcopia, at 7200 Kinsman Rd. CornUcopia itself is an exemplary project, run by the non-profit revitalization center Burten, Bell, Carr (BBC), featuring a wide range of culinary training programs and an excellent café where Sopko and I met to discuss this article. Film makers and artists Paul Sobota, Angela Beallor, Elizabeth Preis, Tom Laffay, Chelsea Corso, and Robert Banks find storylines in a tangle of 21st century urban quandaries – disproportionate incarceration rates, the militarization of policing (an issue that looks to be of particular relevance during the upcoming convention), gentrification patterns in Ohio City, access to mass transit, uneven investment in transit and neglected infrastructure, and many others. Some of the facts brought forward are hard to bear: Why does Cleveland, with its wealth of world class medical facilities and physicians, have one of the highest infant mortality rates in the nation? Sopko’s films, which will be released via national and social media from May 20 through July 21, have something to say to voters, activists, and elected representatives throughout the political spectrum. 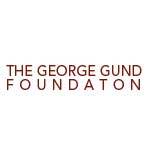 Her fixers point to conditions and attempts to live in our cities that America as a whole needs to know about and think about in order to build a stronger polity and a better world. The Fixers films will be presented as a group at SPACES Gallery from May 20-July 29, and at Smack Mellon in Brooklyn, NY from June 18-July 31. The entire series will also be shown at The Bop Stop in Cleveland on Monday, July 18.